Want to lose an inch from your waistline without doing a single exercise or changing your diet? You can! No, this isn't a headline I pulled from a magazine in the supermarket checkout line. This is a real-life story. And, believe it or not, I'm actually going to tell you how you can really do it. "Dr. J, I just wanted to let you know that I have lost an inch from my waist, and when I look down at my stomach, it no longer looks like a bloated mountain!" IDF works in five ways to support healthy digestion. First, it provides herbs and spices from Traditional Chinese Medicine to help your digestive processes start moving along smoothly again. Second, it uses carefully selected herbs to support the entire digestive tract. Third, it includes medicinal mushrooms that bolster your immune system by reducing chronic inflammation, a common by product of poor digestion. Fourth, it provides the vital minerals zinc and chromium to keep your blood sugar on track and prevent you from craving sweets. Finally, it supplies you with digestive enzymes to help you better break down and use your food. 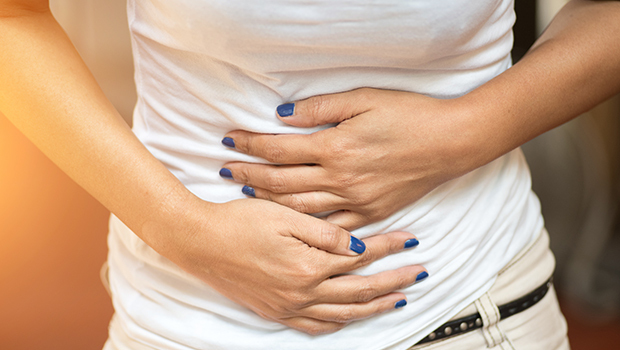 Whether you suffer from chronic indigestion like Julie or the occasional bout of heartburn, bloating, gas, constipation, or diarrhea, IDF can help you. Bloating from digestive issues is often the culprit when your waistline doesn't look the way you want it to despite your best efforts. IDF can help give you the results - or the relief - you've been looking for.